One thing I looked into when it comes to picking a hotel is location. 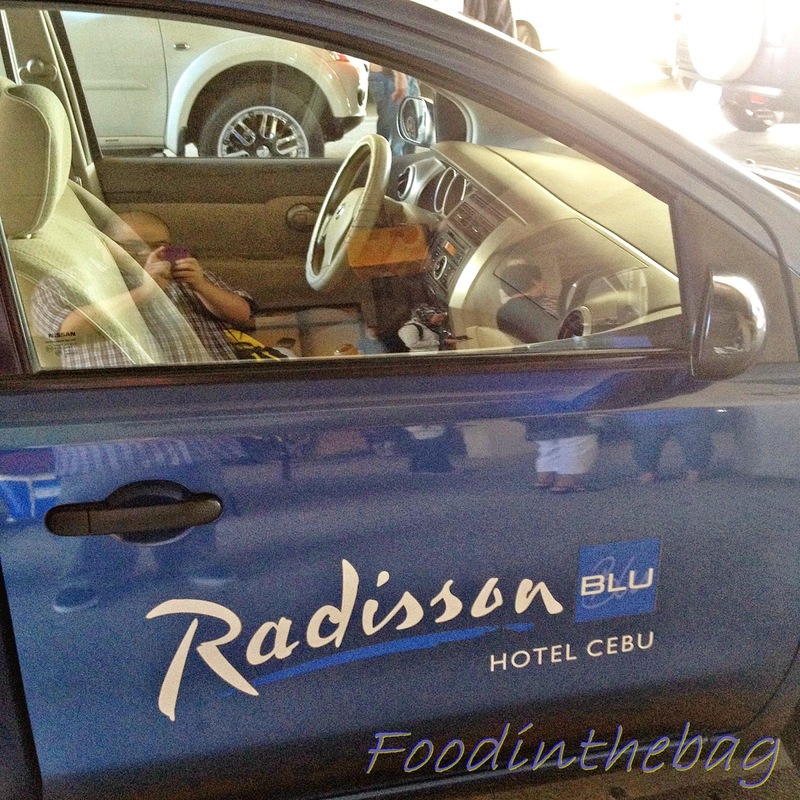 Radisson Blu Hotel Cebu fits the bill perfectly!! Location Location Location! When we arrived in Cebu, the hotel staff was there along with our car and driver to bring us to the hotel. The spacious lobby welcomed us as we arrived around 8 in the morning. We were asked to wait for a few since our rooms weren't ready yet. 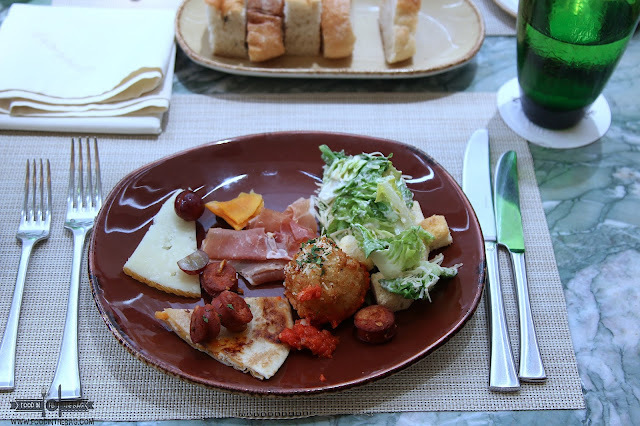 We were advised that we could check-in early and check-out late if the rooms are available. Thankfully, they were!! YAY!!! Mango Juice was served for our welcome drinks. Since it was almost 9am, my companion and I went to CNT lechon to have our very first Cebu Meal. You would be happy to note that the hotel is connected to SM Cebu via a covered walk way! At around 10am, I received a call stating that the room was ready. We were given cards and our luggage were brought to the room. The room was what one would expect. And yes for those asking out there, I am wholesome.. so, take note.. 2 single beds!!! No hanky panky!! I am so an angel LOL!!! I love that they have a huge table for a laptop or electronic gadgets. Take note, WIFI is free and fast!!! I tried doodling and pretended to be an artist..Sadly, I am not. You also have an Ipod dock. The washroom was pretty spacious. Sorry though, no bath tub here. Normal toiletries. I had to call for another set to be brought in since, there was 2 of us staying in the room. That and they forgot the complimentary slippers. I liked the shower area as 3 huge guys could fit in it. Yes.. I know, we tried. JOKE!!! Eeek!!! Sadly no bidet here!!! One thing all washroom should have are bidets!!! After checking out the room, I roamed around and saw the other facilities. They had an up to date gym. A locker room just in front of it. Yes, it has a sauna area. Aside from the in house spa, one more thing a person would love while on a vacation is taking a quick dip. The pool was inviting and even has a small jacuzzi area. It was clean and wasn't heavy on the chemicals. 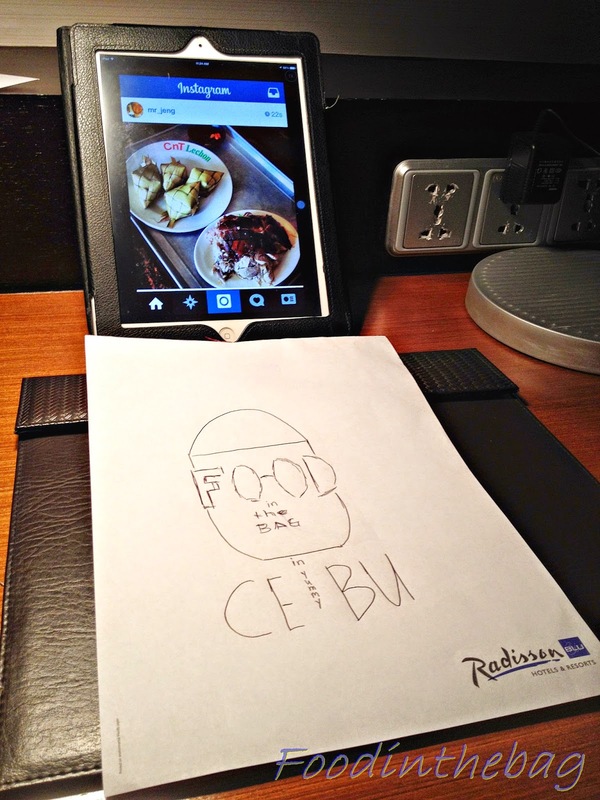 I guess for the price I paid and the service we had, Radisson Blu Hotel Cebu is an awesome place to stay in. For 3 days and 2 nights, my friends and I were able to enjoy the amenities and loved the cool a/c. No worries there. 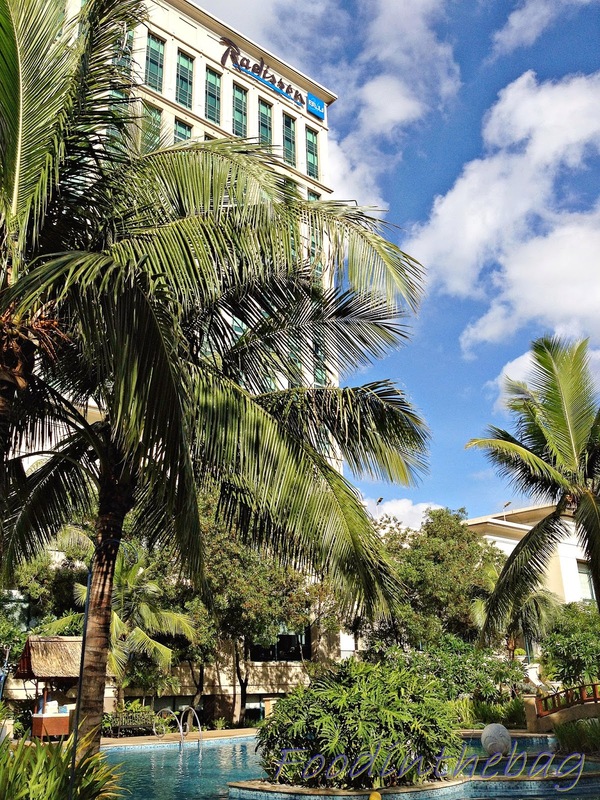 If you are in Cebu and not really into the beach and would love to stay in the city, Radisson Blu is a nice choice to stay at. Service was quick and yes boys and girls, its pretty affordable!! Food In The Bag is now on Facebook. Like the page here.